As you know, jewellery is one of my favourite things ever. I have many a jewllery box, filled with statement rings, shiny earrings and fun necklaces. I just can't get enough. I'm always on the hunt for new, affordable jewellery companies and I recently came across YourFashionJewellery, who focus on gorgeous statement pieces and Fashion Bracelets. First of all, I was SHOCKED at the prices. Everything was so affordable and really pretty. With a lot of items actually being under £10, theere was so much to choose from, at really affordable prices. 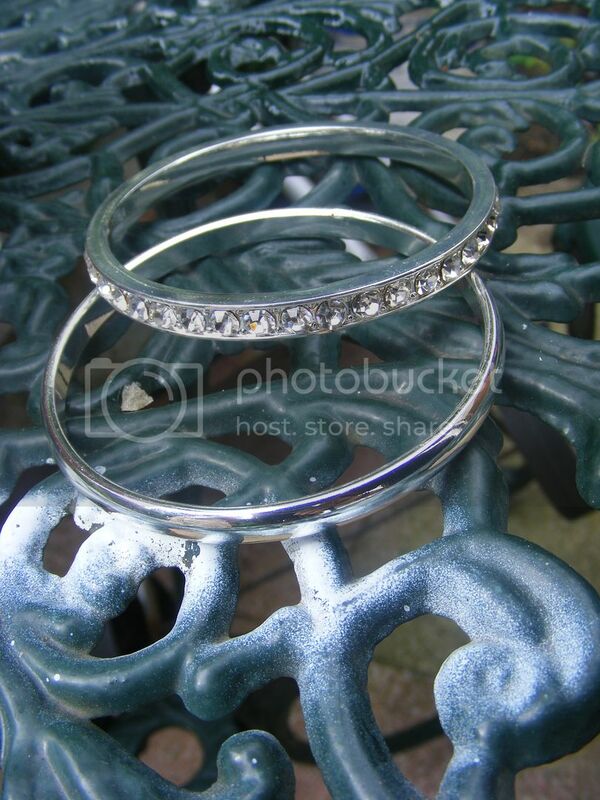 I settled on a pair of bangles from the diamante range, which were gorgeous and just £6.99. They came the very next day, and was beautifully packaged in tissue paper and a ribbon (I was too busy ripping it open to take a picture...sorry). I would totally recommend Your Fashion Jewellery. Gorgeous pieces, at great prices. Love the dress and that piece of jewelry!! You look stunning. that piece of jewellery really glams up the outfit! I really really do not need anymore jewellery, yet know full well I will not be able to resist checking this site out! They look very pretty indeed. I'm dreading looking at the website as I'll surely like everything and really shouldn't be spending too much money this month! It's possible to get a great look with fashion jewellery. These pictures tell the story. LOVE costume jewellery. Especially diamante!